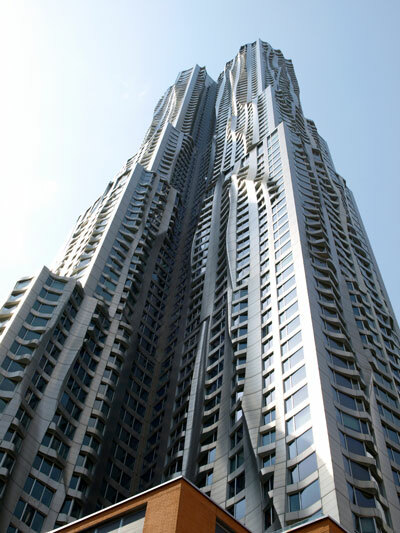 Located in a part of lower Manhattan with few other towers, “New York by Gehry” at Eight Spruce Street is close to City Hall and its adjacent park. 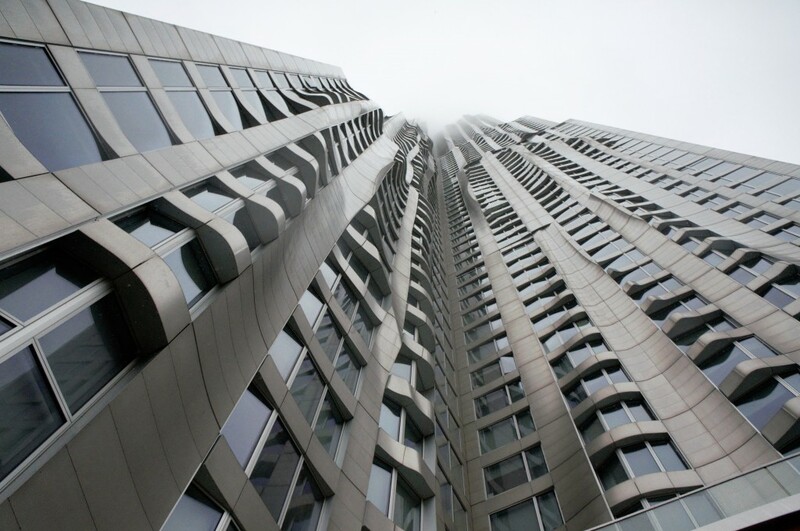 Its significant height makes the building a prominent addition to the New York City skyline and, as the tallest all-residential building in North America at the time of completion, adds a significant residential population to its neighborhood. 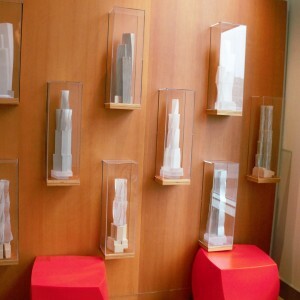 In addition to providing 900 residential units, the tower also houses a pre-K–8 public school and office space for the New York Downtown Hospital in its base. 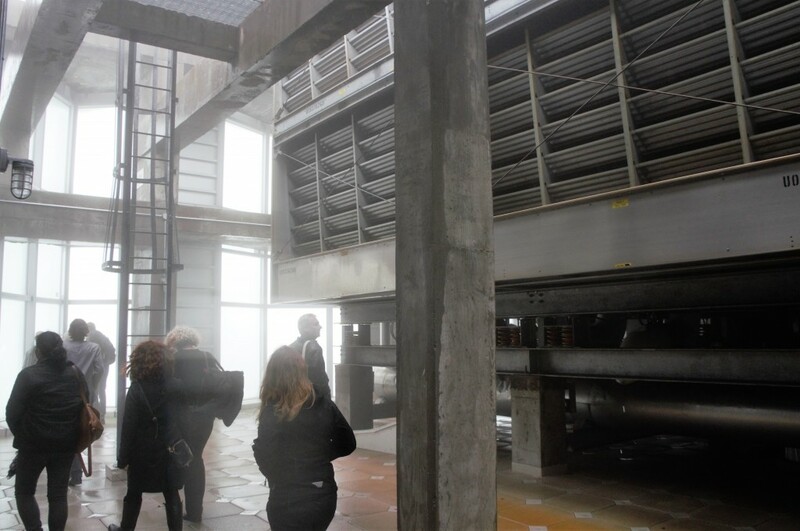 The tour began with an introduction by Chris Colasanti, CTBUH Advisory Group member and Associate at JB&B, as well as on-site representatives from the building. Attendees then toured the various amenities offered to residents, including a swimming pool, gym, exercise room, and golf simulator. The pool level connects to a balcony that provides an unobstructed view of the beautiful curving façade for which its architect, Frank Gehry, is so well-known. 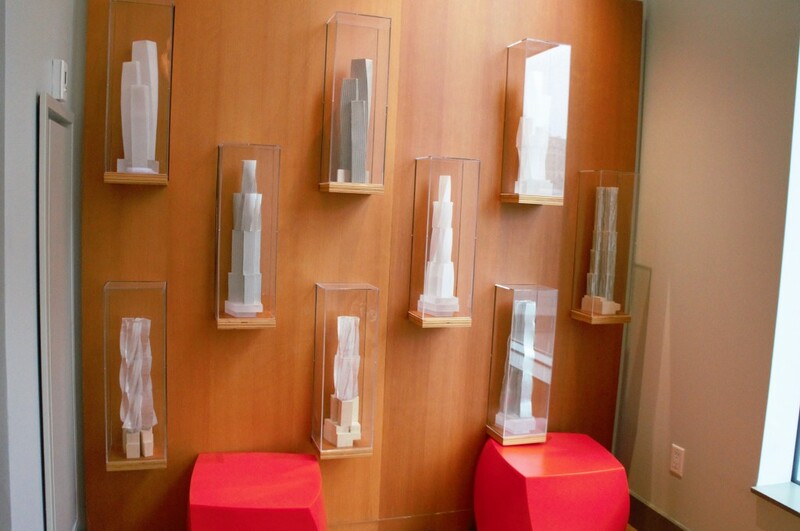 Attendees also got to see the various models of the building that Gehry used during the design process. Following the common spaces, the tour headed to one of the residential units that has already been furnished in order to be used as a demo unit. The unit features a spacious interior and a one-of-a kind floorplan due to the curving nature of the building. Since the building is a residential building, the units all have direct connections to utilities in order for residents to be billed appropriately. Arguably two of the best features of the unit were the bay windows and balcony. Normally they provide gorgeous views of the Manhattan skyline, but unfortunately it was rainy on the day of the tour. 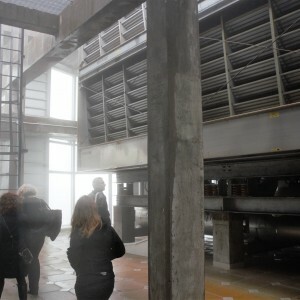 Nevertheless, attendees pressed on and went to the roof of the building where they braved the rain and cold to check out some of the mechanical systems and window washing units. 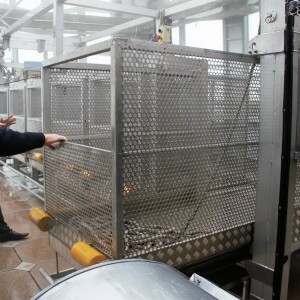 One unique feature of the window washing platform is that it is divided into multiple sections that can extend from the main platform. 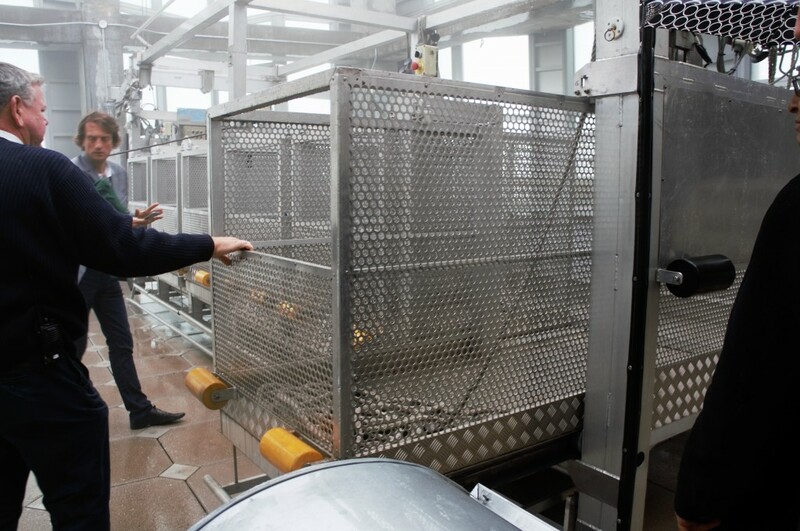 This allows the washer to reach into the building’s curves to clean them. Many thanks to Forest City Ratner Companies and JB&B. 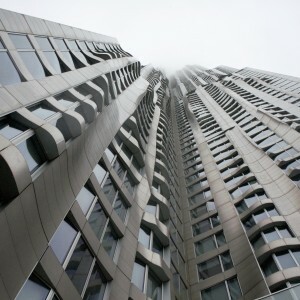 For more data, news, research papers, videos and the companies involved in the building, visit The Skyscraper Center.